The Norwegian animation festival Animation Volda is being held between September 14-17. This year's theme is Women in Animation. 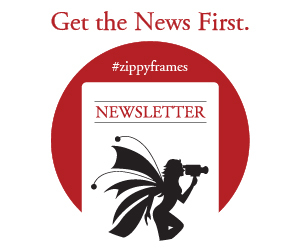 Zippy Frames interviewed Karoline Sundet, one of the four women leaders of the festival. As the popularity of animation has grown, it now reaches audiences of diverse age, gender, ethnicity, and culture. As this growth continues, so does the need to ensure that animation content represents the world as it should be – a world where women are equally represented, both behind the scenes and on the screen, to move culture forward. Celia Kaspar is a freelance character designer and illustrator from Bielefeld in Germany. Kasper studied animation at Volda in 2013 and started her freelance life in animation in 2015 and worked on many different projects such as commercial spots, TV productions, Mobile Gaming and Book Illustrations. Kaspar worked for Brown Bag Films, Ubisoft Mobile, Penguin Random House, Passion Pictures and Boulder Media. Celia Kaspar is guest teacher too at the University of Volda. Linda Fagerli Sæthren, is a producer, director and animator based in Oslo. She mainly works with the technique stop-motion puppet animation. Fagerli Sæthren graduated from Volda University College, and won the Amanda Award for her bachelor film Janus in 2007. She worked as an animator on the feature film Jul i Flåklypa (2013), made by the Norwegian biggest animation studio Qvisten. Currently she works as an animator at Catapult Film. USA/Belgium Nancy Denney-Phelps, is a journalist writing about European animation and festivals as well as a producer of music for animation. Denney-Phelps's writings have appeared in such publications as CARTOON and ANIMATOON as well as on her regular blog for AWN (Animation World Network). UK-based Samantha Moore, is an independent animator, working mostly with animated documentary out of her own studio. She also takes work as a director of commissioned films. Moore won a special mention by the Grand Jury at Animafest, Zagreb in 2008 for her film The beloved ones (2007). Moore is passionate about using animation as a way to work with subjects harder to visualize, and has collaborated with people from different areas in science to achieve this. Samantha teaches animation at the University of Wolverhampton, and presents her research at conferences internationally. She is a member of the Society for Animation Studies, and a reviewer for Animation Studies Journal. She finished her latest documentary Loop in 2016. Turkish/Norwegian Yaprak Morali studied character animation at the Animation Workshop in Viborg, Denmark. Since then she has worked in Istanbul, Ankara, Copenhagen, Milan, Budapest, London, Munich, Bombay and Oslo for various projects for the small and big screen as a 3D animator, classical animator, storyboard artist and character designer. Yaprak is also the author and illustrator of preschool books, published in Turkey. Morali is also managing the yearly animation festival Frame by Frame in Oslo and occasionally gives lectures about animation and works as a moderator for festivals. Currently she works at Qvisten Animation. Volda, located on the west coast of Norway, is the location of the animation school Volda University College with a large animation department, housing Norwegian and international animation students. Every year students of the animation school organize the Volda Animation Festival. Animation Volda Festival 2017 is run by Astrid Pfefferkorn Øverli, Linn Hafslien Petker, Karoline Sundet and Anna Sæbjørnsen, and takes place 14-17 September 2017. Sign up:Stay updated with the latest news on European and independent animation. Subscribe to our newsletter.